Could 'Project Ghazi' define the future of film-making in Pakistan? The clock was nearly striking midnight when I entered a dimly-lit building on Shahrah-e-Faisal. 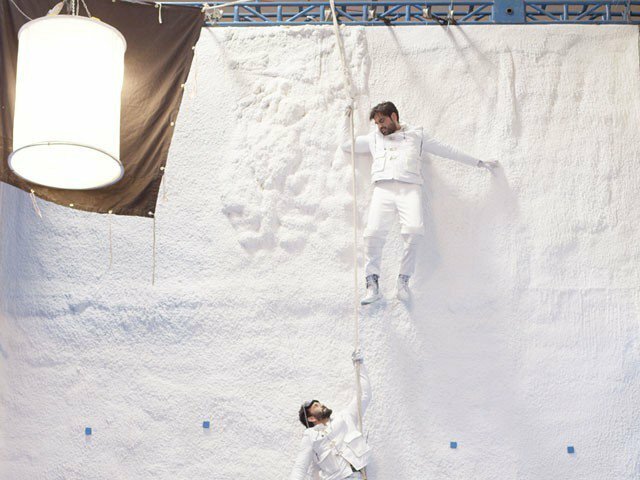 After climbing a few floors, I reached a place which smelt of smoke and dust but you would only notice that if you couldn’t keep your attention on the main show: Humayun Saeed suspended ten feet in the air with a cable wire. The production of Pakistan’s first live action superhero film, Project Ghazi was in progress. Director Nadir Shah sat behind the camera, his gaze going back and forth from the frame and the scene in front of him, as if he was meticulously measuring the position and distance. The rest of the team was pacing around – some carrying wires, some boards. As the director waited for the shot, he often shouted directions so that everyone could hear him. The dynamics of the team showed a symbiotic relationship, the sole purpose of which was to ultimately, create the best product. Producing the country’s first superhero film is a herculean task and it certainly didn’t look like the Project Ghazi team was taking it any less seriously. 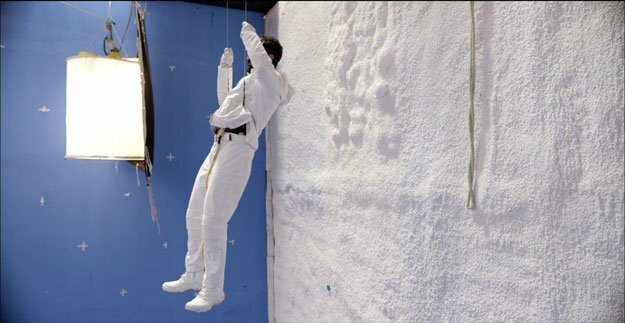 Here was the lead actor, wearing a thick white jacket and pants, hanging against a while wall in the Karachi heat. I was told they were shooting a Siachen scene. 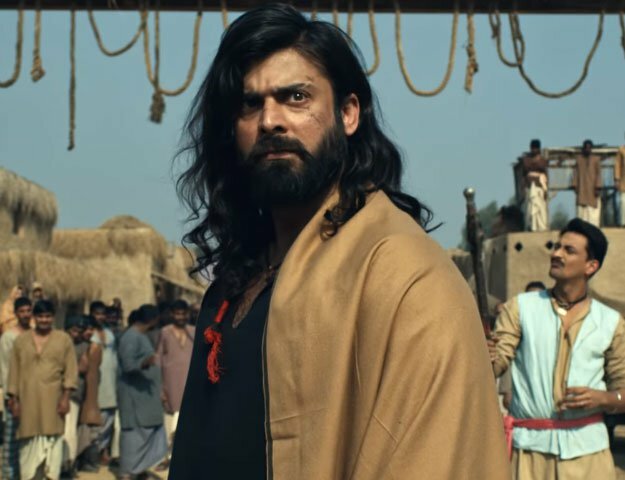 What I found interesting was that, in an industry where sharing credit is a sin and hogging the spotlight is all the rage, producer Ali Raza seemed particularly proud of his team. He introduced each of them by their name and role in bringing the film to life. Cinematographer Farhan Hafeez, sound engineer Absar Khan, digital artist Danial Shahzad Khan, one of Pakistan’s oldest action choreographer Mehboob Shah – could all be seen busting their heads to visualise Siachen for the big screen. Later, Saeed weighed in on the hard work and his entire experience of working on Project Ghazi. The excitement was clear, yet his mixed emotions couldn’t be ignored. He pointed out the months of constant effort it takes to make a film, let alone a superhero film. “The audiences don’t see that though. They only see the actor and disregard it as good or bad.” In the end, it all comes down to the performances and how well the director creates an imaginary world. Saeed agreed. Raza shared some stills and footage from the film, which is set for release later this year. The futuristic look, made of grayish silver tones, chiaroscuro lighting and detailed costume design looks appealing. He also shared that the masks and props were all 3D printed. Even though his roles overlap, Raza’s vision for the film is crystal clear. “One of the main purposes for making Project Ghazi is to show the demons in society. It’s not just intolerance toward minorities or a particular group but rather, amongst ourselves. More than that, it’s the indifference,” he said. “Look at what we are doing to each other!” In retrospect, his statement has even more impact considering the brutal and cruel murder of Mashal Khan in Mardan. The conversation flowed for hours and before we realised, it was almost three and time to leave. But as a film graduate, I left with a richer sense of the film-making process because, while we see them on screen in all their glory, it’s not often that you witness the stars getting their hands dirty and working through the night to finish a superhero film.